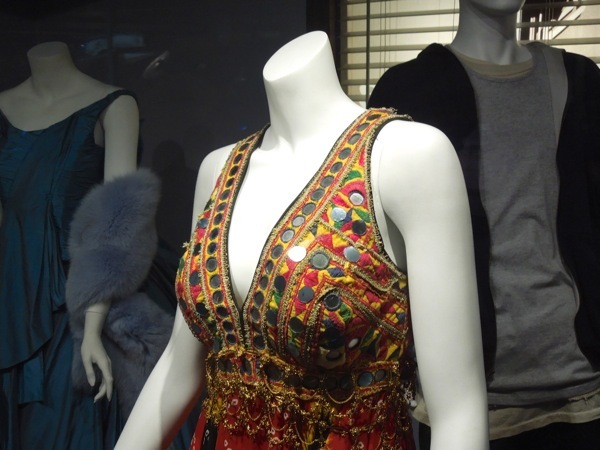 Lightening doesn't always strike twice, especially in the case of sequels. 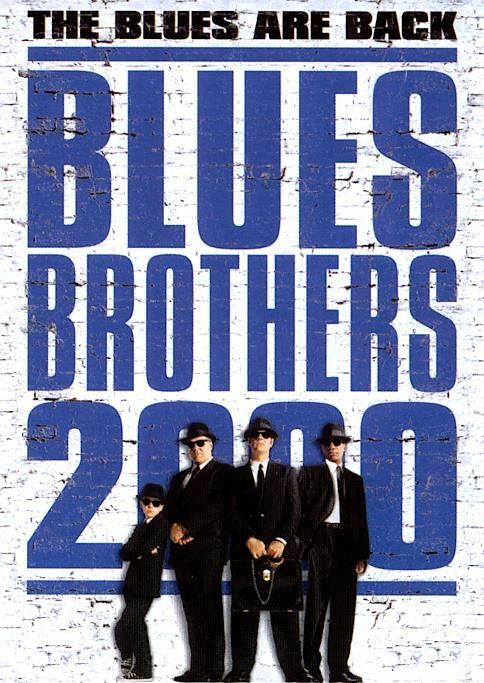 Granted there are exceptions, like Star Wars: The Empire Strikes Back and X-Men 2, but sadly the same cannot be said for 1998's Blues Brothers 2000, which paled in comparison to the 1980 cult hit. 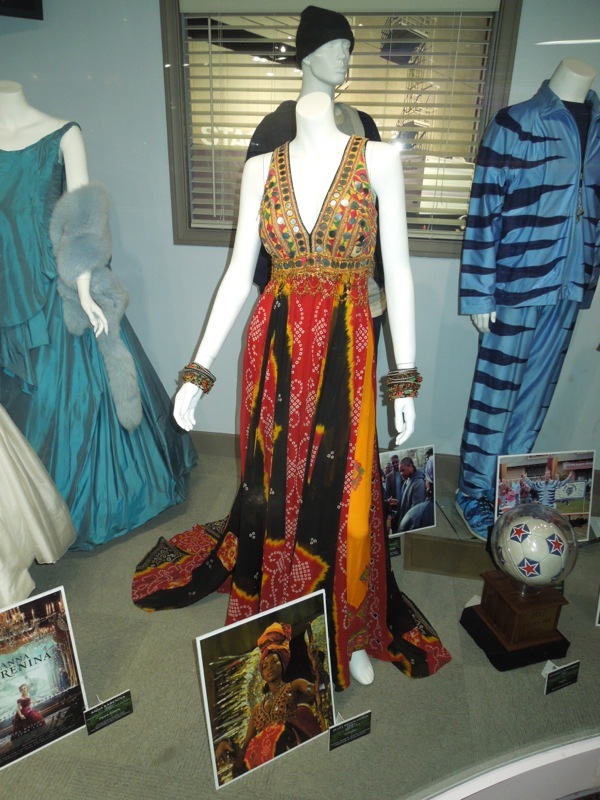 In the movie Neo-Soul singer Erykah Badu plays 'Queen Mousette' and this is one of the costumes she wore. 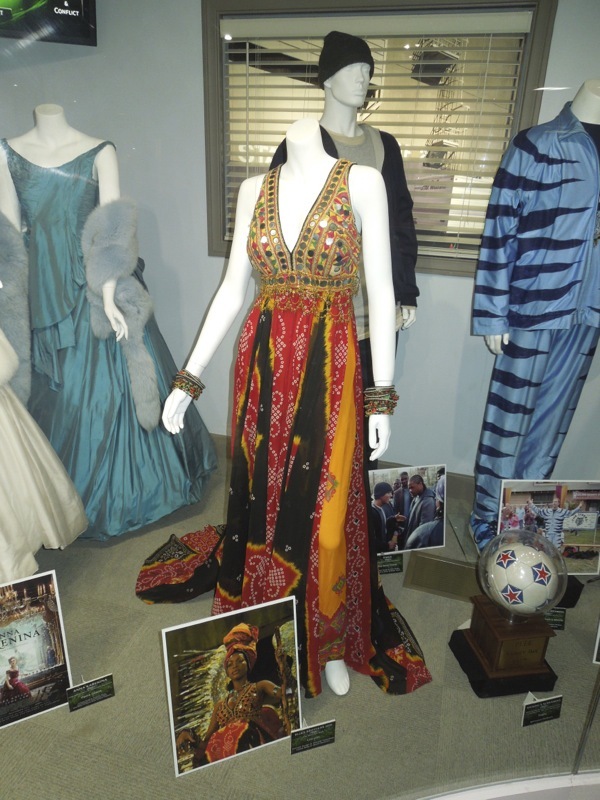 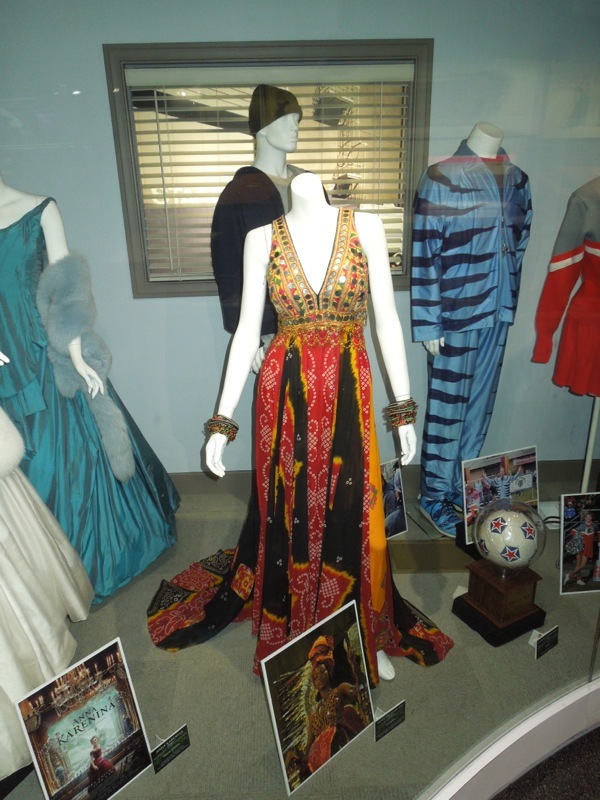 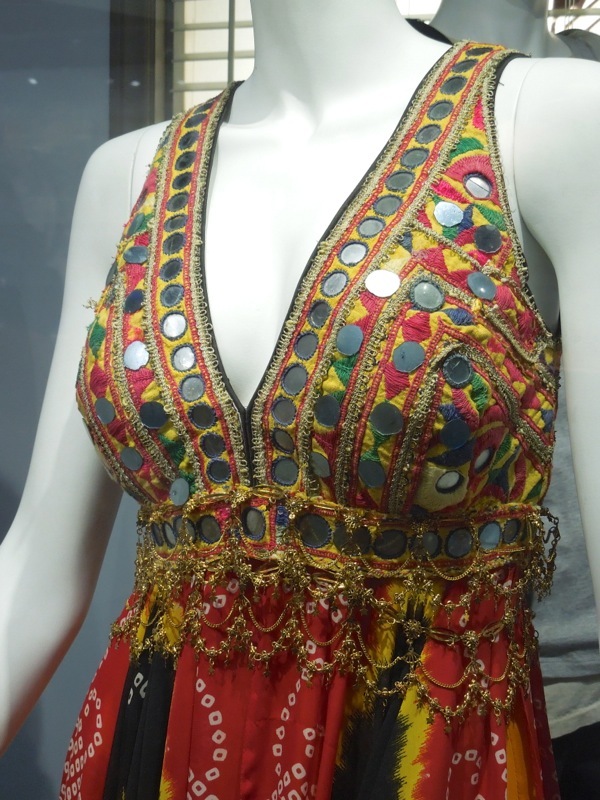 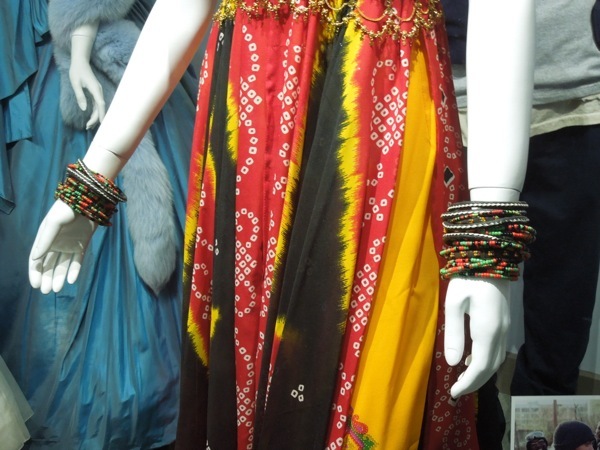 Designed by Deborah Nadoolman, this outfit was photographed on display at Universal Studios Hollywood on May 7, 2013. 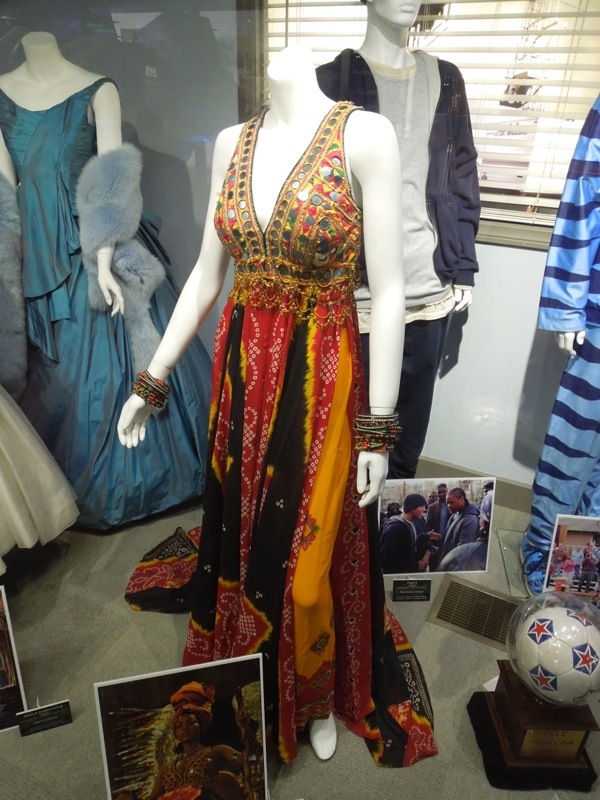 If you like this colourful outfit, be sure to check out these costumes and props from The Blues Brothers original movie, including costumes worn by John Candy and James Brown.